Puggles & Pitties is a very small rescue based in San Diego, CA. We rescue just a handful of dogs at a time, rehabilitate them as necessary, and find their new forever homes. Our focus is on puggles, pit bull-type dogs, and boxers. 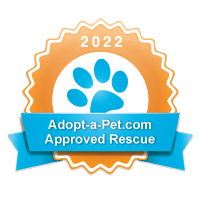 When we started, we were rescuing puggles from small shelters based in the Midwest as very few puggles were making their way into the shelters in San Diego and Los Angeles. In the 5+ years we’ve been involved with rescue this has changed dramatically and we can now only accept puggles from local shelters. Occasionally we accept puggles from owners who are no longer able to take care of them. Please contact us directly if you are looking for a rescue to whom you can surrender your puggle. If you would like assistance in rehoming your puggle but can keep the dog in the meantime, we can help with that process. Please contact us at pugglesnpitties@gmail.com. We only rescue pitties from shelters located Southern CA because we must be able to evaluate them directly before committing to them. We do not accept owner-surrender pit bulls, as there are too many at risk of dying in the shelters. Some dogs come to us with physical ailments that need to be treated or fixed. Those are the easy things to do, they just take money. Fix a broken leg, repair a cherry eye, treat demodectic mange…if we have the money, we won’t shy away from a dog with any physical injuries. Where the real work comes in is with rehabilitating the dogs’ hearts and souls. Whether we’ve gotten them from an animal shelter or directly from an owner, these dogs have no idea how they’ve ended up where they are and why they’re suddenly with us. They don’t understand getting lost and picked up by animal control, never to be reclaimed by their mom or dad. They don’t understand divorce or financial hardship or allergies. Dogs are loyal until the end, and they don’t understand any of the reasons humans come up with for giving away their beloved family member. To be sure, these dogs are lost, confused, sad, lonely, depressed, scared, uncertain…any adjective you want to put on someone who has just lost their home for reasons they can’t comprehend. In addition, some of these dogs need additional training. Whatever the reason given for getting rid of a dog, usually the real reason is that the dog has never been trained and has no doggie manners. If they’re no longer a cute puppy, people don’t often want to put up with their antics. So we use positive reinforcement training in order to teach them the basics of good dog behavior. Some dogs come to us very insecure. We don’t pretend to know why; inadequate socialization as puppies, sheltered lives as adults, abusive owners…the list of possible explanations is endless really. These dogs go through basic obedience training; intensive socialization with the other dogs in the rescue and in the foster home; gradual introduction to their new outside environment through regular walks and other exercise; plus confidence-building through specialized, FUN training and activities. We really work hard to overcome whatever deficits they come to us with so they can go on to live healthy, happy, confident lives in their forever home. Teaching dogs how to be dogs – well-behaved, confident, happy dogs – is what we mean when we say we “rehabilitate souls.” It’s one of the most rewarding parts of what we do.